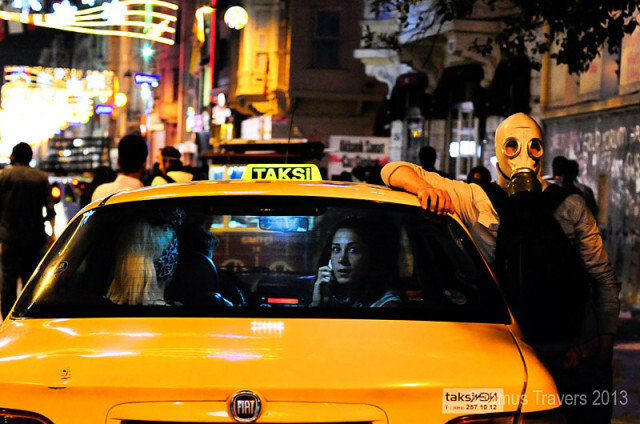 Two women avoiding tear gas jump into a taxi cab in Taksim Square in Istanbul, Turkey.Credit: Seamus Travers. Reporters in countries where journalists lack freedom have a new champion. A new crowdfunding platform named Press Start will launch soon specifically to help reporters get their stories told in parts of the world where telling the truth sometimes puts you at risk. Initially, Press Start will be available only for journalists coming from and working in Central and Eastern Europe, the Middle East and Africa. Ultimately Press Start plans to expand to parts of South America and Asia as well. Press Start is an initiative of Transitions, a journalism training organization in Central and Eastern Europe and publisher of tol.org, a news magazine about the post-communist region. “There are all these struggling journalists, but there is no way to connect them with the people around the world because they don’t know about crowdfunding, they don’t know English, they are just caught up in getting the story out and not coming up with new ways to reach the international audience who will be interested in funding them and hearing their story,” said Jeremy Druker the founder of Press Start and one of the founders of Transitions. TOL will also be launching a month-long crowdfunding campaign on Kickstarter to garner additional money for Press Start until the platform is able to fund the journalists’ projects. The Kickstarter campaign will go live in October and Press Start a month later. Each pre-selected journalist will have a public portfolio available that will contain a journalist’s proposed project idea together with the details of his/her professional background. Partner organizations who focus on things like media development, journalism training, press freedom and professional journalist associations from the pre-selected journalists’ country will vouch for the journalist and help monitor the work the journalist produces. “They [partner organizations] will act as intermediaries, telling them [the journalists] what we can offer and what we expect done,” Druker said. Currently, TOL is working with 12 organizations in different countries but they’re still searching for reliable and experienced partners. Press Start has some six to eight journalists who were nominated by the partner organizations and whose profiles and proposed work will be made available to the public for funding from already in October. Each journalist will receive funding for a maximum four months and will be provided a lump sum of $2,000 USD irrespective of location or nationality. Donors can give to individual journalists or to a general fund to support campaigns close to reaching their goal. Money from the Kickstarter campaign will go into a similar fund. Security is a real concern for journalists in some parts of the world so a public crowdfunding might seem out of reach. Press Start is working on that. Such packages will provide preliminary training to the journalists on security matters and cover health insurance for four months. A small number of those journalists reporting on sensitive issues that may irk governments will be allowed to write and conduct crowdfunding campaigns under pseudonyms, with profiles devoid of details of their careers and past projects. “Obviously, this defeats the purpose of being able to get into the details of a profile [for potential funders], but the Press Start visitors will have to trust us that we know who these people are, that we know their identity. So this can be tricky and these will be a very small percentage of people who will be out there, but that’s what we are going to do,” Druker said. TOL will rely on a National Endowment for Democracy grant to get Press Start off the ground. Druker wants Press Start to become a sustainable social business within three years, financed from 10 percent of donations, advertisements, and article syndication. If projects are successful, journalists can apply multiple times and produce a consistent sources of income. Additionally, TOL is also considering building a profit-sharing model with the partners. “Often people ask you to be a partner, and you do a lot of work but you don’t get paid for it. So we have a model set up that we will be taking 10 percent of the donation,” Druker said. Jaroslav Valuch, a TOL staff member helping to set up Press Start, said that the content deemed interesting for an international audience will be translated to English and published on various platforms and on blogs. Ekaterina Basilaia is currently based in Antwerp. 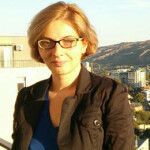 She has worked in various print and online media. She believes in the power of Internet and information that keep the people forward.